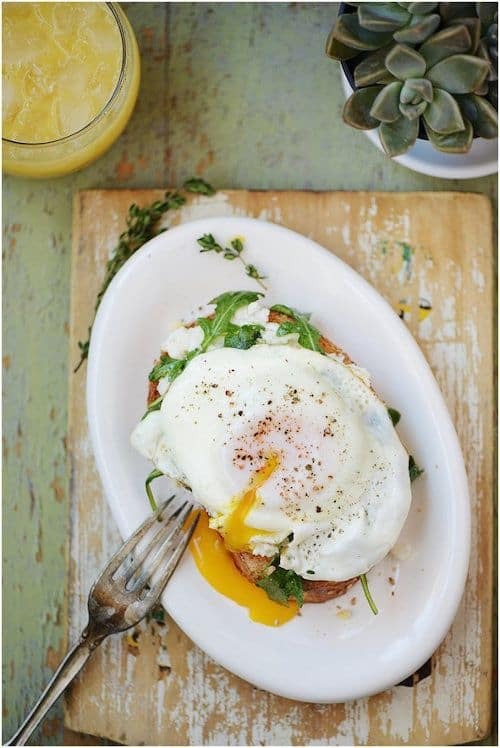 15 DASH Diet Breakfast Recipes: Healthy & Hearty Mornings! If you’re trying to lose weight or reclaim your health, look no further than the DASH Diet: a dietary approach formulated to reduce hypertension that has many other benefits as well. Emphasizing well-rounded meals filled to the brim with healthy veggies, lean meats, whole grains, and low-fat or nonfat dairy, you certainly don’t have to sacrifice flavor on this diet! Thinking DASH sounds like a good idea? We’ve rounded up 15 DASH Diet-friendly breakfasts to get your day started strong. After all, breakfast is the most important meal of the day, right? 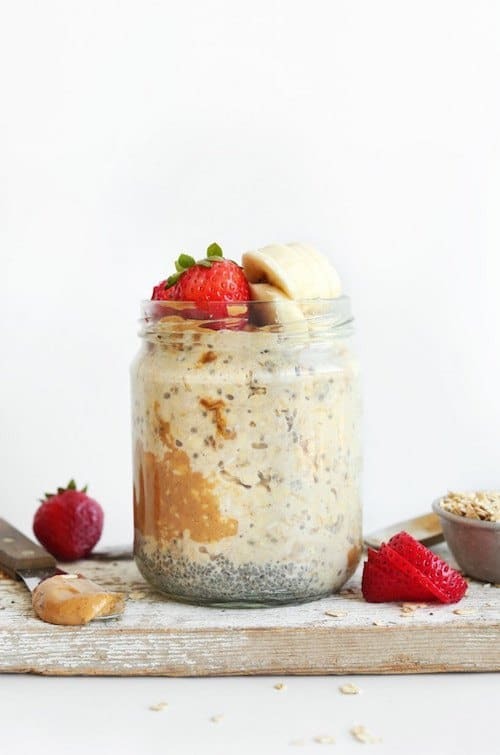 This recipe from Minimalist Baker takes a cold approach to oatmeal with peanut butter, almond milk, rolled oats and just a touch of maple syrup for sweetness. Packed with whole grain goodness, healthy fats and protein, this breakfast is easy to make the night before for a grab-and-go option! Make a batch of these scones from Elana’s Pantry for an easy breakfast to grab on your way out the door or to enjoy with a cup of coffee. 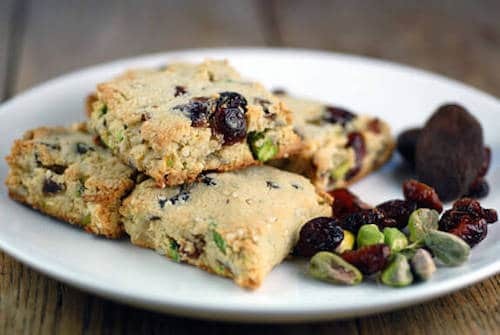 Made with almond flour instead of white flour and filled with dried fruit and nuts, these hearty little morsels will keep you full until lunch. 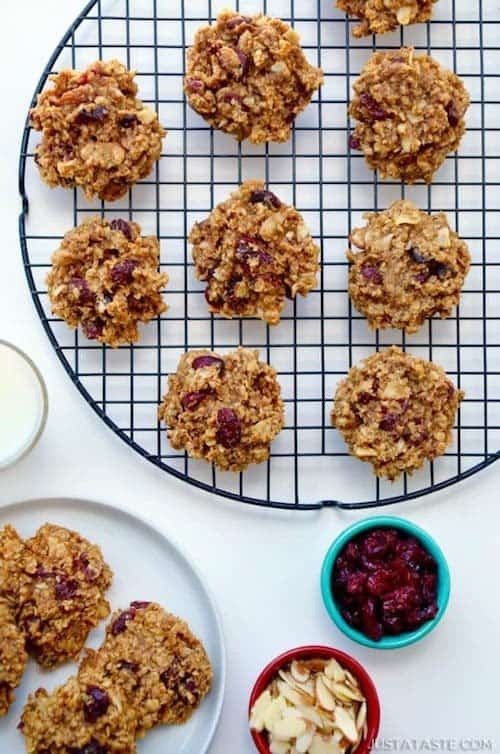 Another great grab-and-go option, these “breakfast cookies” by Just a Taste made with oats, peanut butter, bananas, dried fruit, raisins and a touch of honey are like store-bought granola bars…but butter! Have one for breakfast with low-fat yogurt or pack one in your lunch for later. How great is it to have breakfast ready for you when you wake up in the morning? 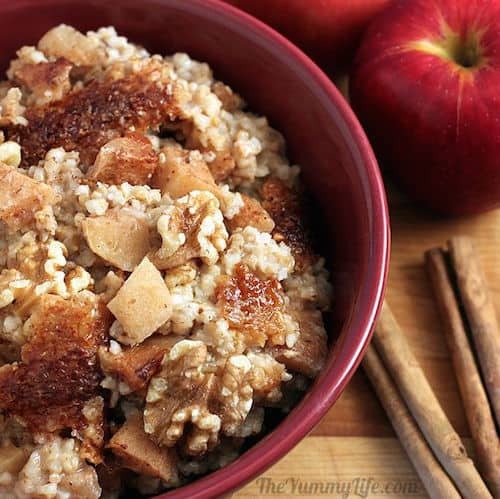 With The Yummy Life’s overnight oatmeal, throw the ingredients in your slow cooker (like skim milk, oats, apples, cinnamon, and flax for some added nutrition) and in 7 hours, your breakfast is ready! Also has the added bonus of making your kitchen smell amazing. Muffins are a great option for mornings when you’re in a rush—make a batch and freeze half for later so you don’t get bored with the same flavor! 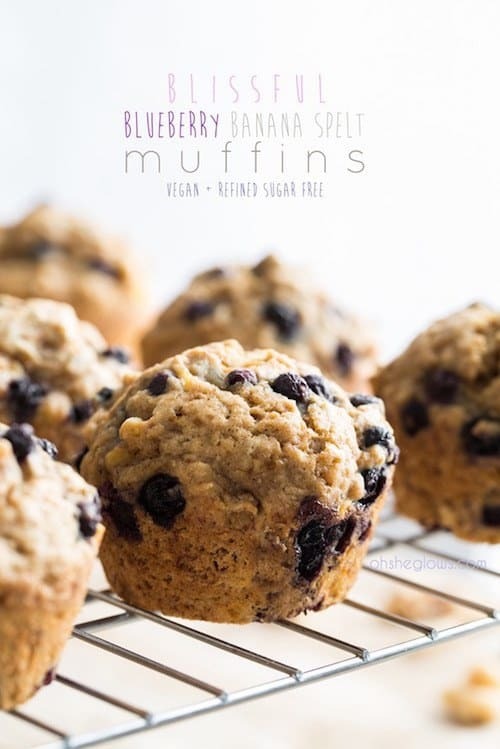 These spelt muffins from Oh She Glows are made with hearty whole grains and sweetened with banana and a little bit of coconut sugar for low-glycemic twist on a classic muffin. Buckwheat is an amazing (gluten free!) 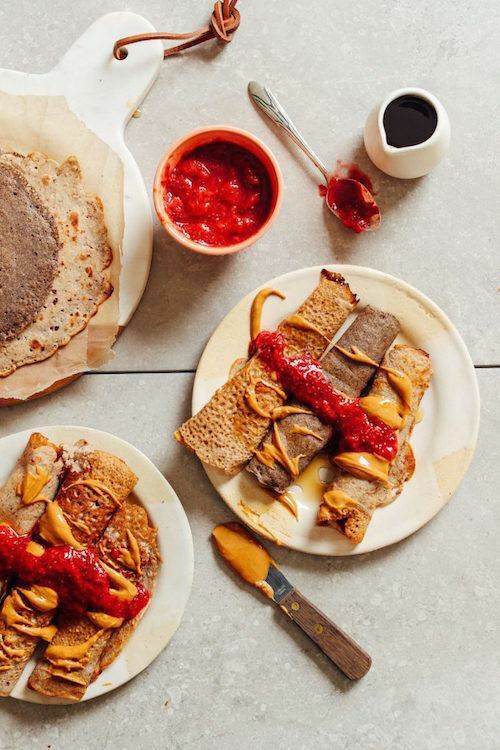 whole grain that’s popular in French savory crepes. Minimalist Baker gives you a sweet and savory option with this recipe, great for slow, lazy Sunday mornings. Don’t forget to get creative with the fillings! Smitten Kitchen’s blueberry pancake recipe uses yogurt instead of buttermilk and a mix of all-purpose, whole wheat and barley or rye flour for some added nutritional value. 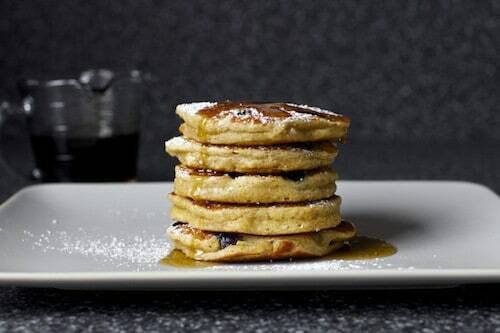 With this recipe lightening up the classic pancake, who says you can’t have pancakes on a diet? Don’t forget to sub low-fat yogurt for full fat to keep it DASH-friendly! Ever make a yogurt parfait, just because? Well if you haven’t, it’s time to treat yourself! 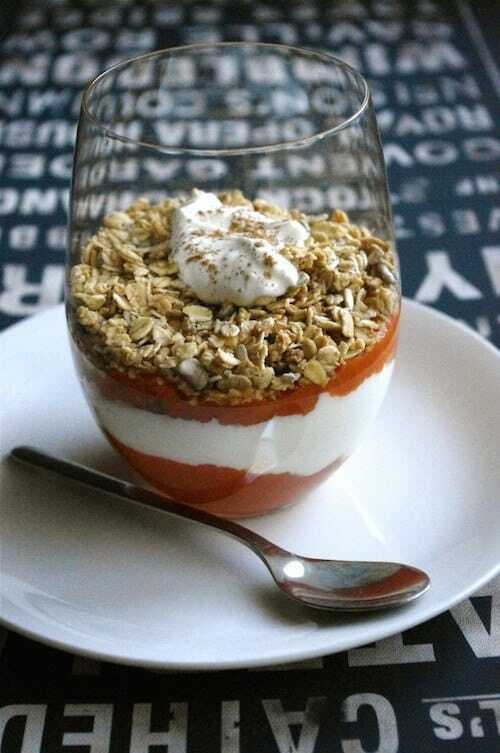 This parfait recipe from Nutrition in the Kitch uses pureed pumpkin (yum) sweetened with ripe pears and a little bit of maple syrup layered with Greek yogurt and granola goodness. 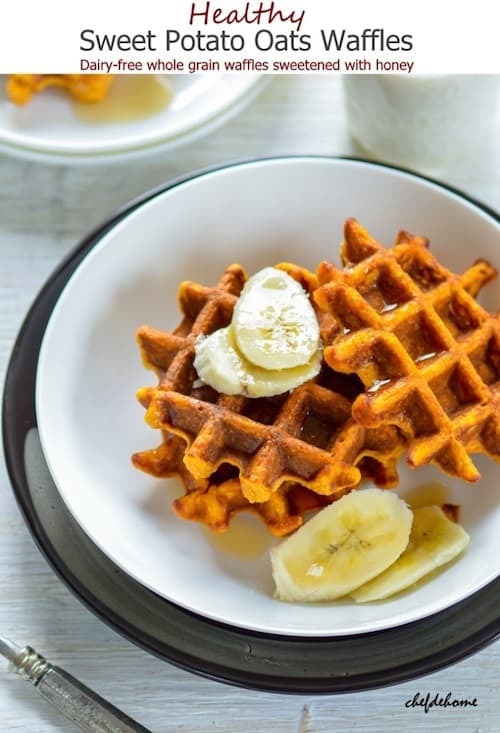 Chef de Home’s sweet potato waffles feature the complex carbs of sweet potato and whole grain oats. Serve with some sliced banana for a touch of extra sweetness! 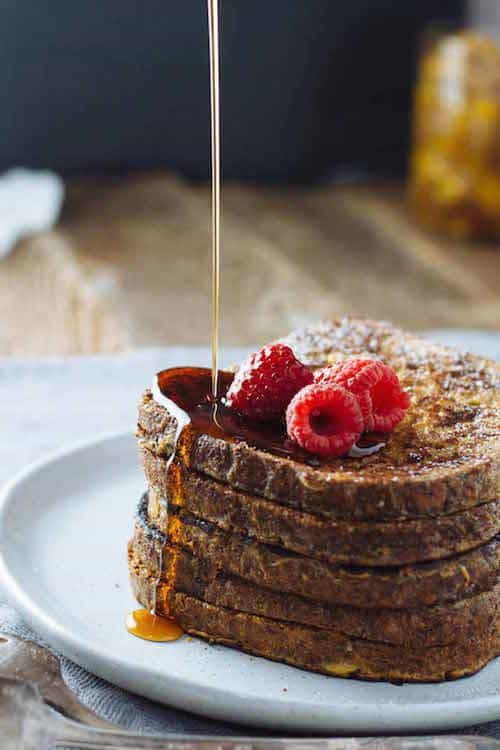 This lightened up French toast recipe from Jar of Lemons uses coconut or almond milk instead of cream and a touch of stevia to sweeten the deal. Ezekiel bread adds some heart-healthy grains to the mix. Who says French toast can’t be healthy? Toast, greens, cheese and a fried egg? Is there a more well-rounded, perfect little breakfast? This recipe from Muy Delish combines whole grain toast with some veggies, protein, and a little bit of cheese make up a great savory meal to start your day. Healthy Glow Co. brings us this awesome (and surprisingly light!) Mexican-inspired breakfast with turkey bacon and egg whites. 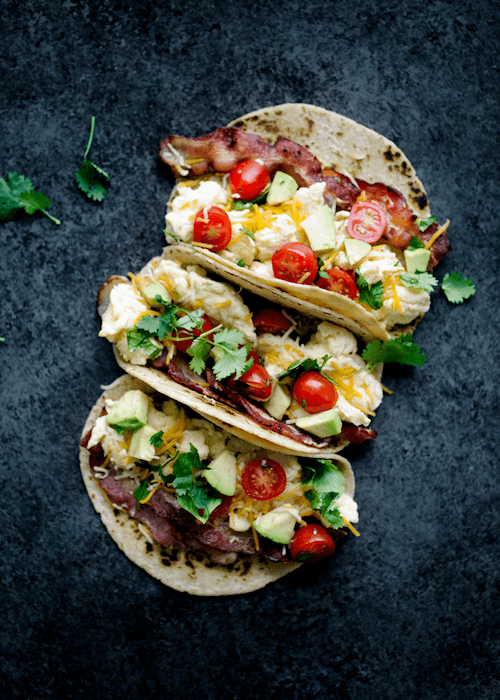 Topped with avocado and a little cilantro, these breakfast tacos are to die for! Not an egg person? 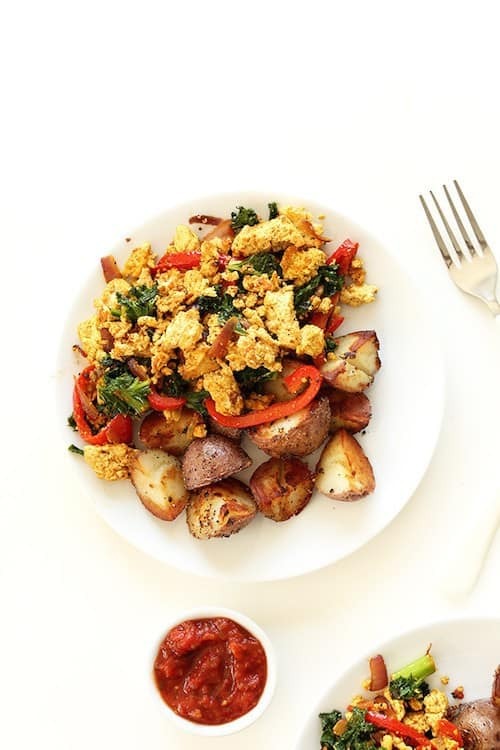 Load up on protein during breakfast with a tofu scramble instead! Mixed with onion, kale and bell pepper and smothered in a delicious, garlicky sauce, this Minimalist Baker recipe packs a flavor punch while still being perfectly allowable on the DASH Diet. 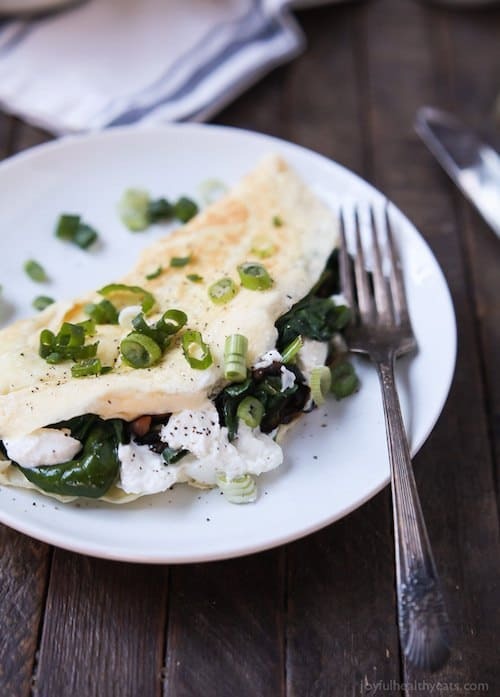 Joyful Healthy Eats brings us this recipe for a tasty egg white omelet packed with veggie goodness like spinach, onion, and savory mushrooms. Add some goat cheese for a satisfying, tangy creaminess! Make this smoothie packed with protein and healthy fats from a recipe by Cookie and Kate. 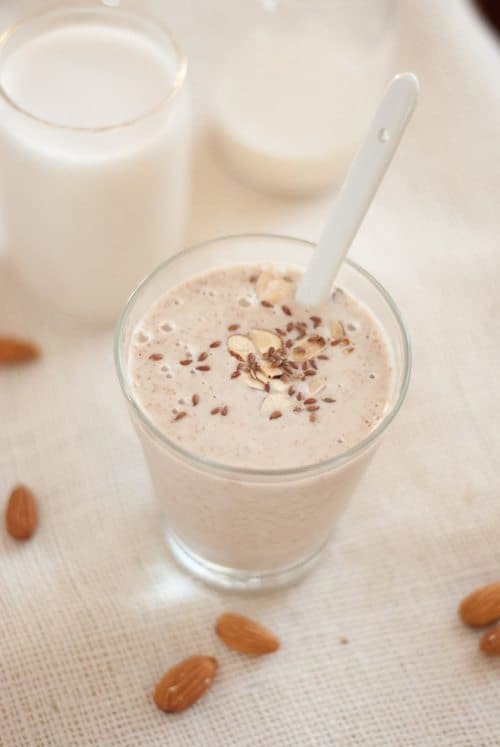 This smoothie couldn’t be easier and makes great post-workout fuel for your way to work! So that wraps up our recipe roundup for DASH Diet-friendly breakfasts! 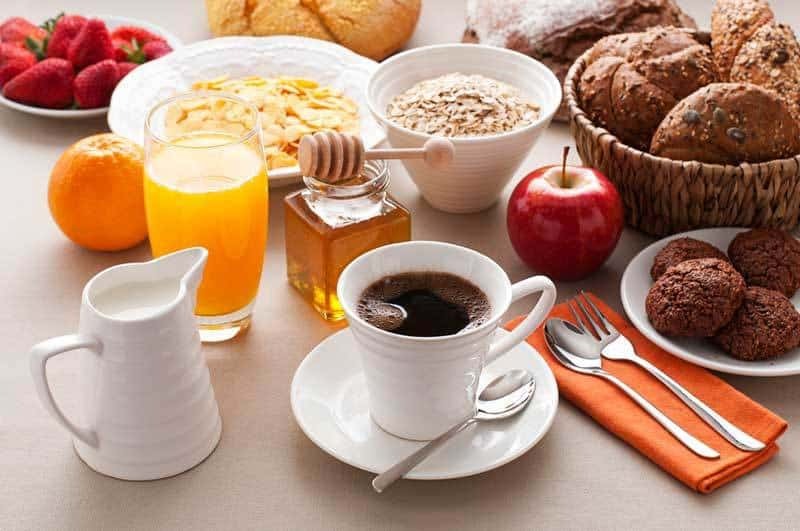 What’s your favorite low-fat, low-sugar breakfast? Tell us in the comments below! DASH Diet Food List: What You Can & Can’t Eat!